Copper is a reddish orange color. It is non magnetic, and an excellent conductor of electricity and heat. Its primary users are in electrical wiring and piping of plumbing application. Its also used for platting of eaves trough, printed circuit boards, and in the main ingredient in brass. Is clean copper with little to no oxidation or corrosion. It should have no brass, solder or oil. Is copper with solder, oxidation, corrosion, oil or thin platting. Stripped insulated wire with individual strands smaller then a paperclip is also considered # copper 2. Generally refers to roofing copper with tar, nails and a bit shingles. It also includes lead coated copper. As well as any copper that has significant contamination. Recyclable pieces of copper from any source. Miscellaneous, unalloyed copper scrap having a nominal 92% copper content as determined by electrolytic assay and shall consist of sheep copper, gutters, downspouts, kettles, boilers, and similar scrap. Most of us have the tendency to see trash… and simply throw it away. The waste is then taken to landfills, covered with earth and sadly, forgotten. Landfills across the country are running out of space and most of them are filled with items that can easily be recycled. Most consumers know about basic recycling such as paper, plastic and aluminum – but what many of us do not realize is that copper can be recycled too. Copper and related alloys have been recycled for centuries. Copper is a reddish orange colour, is non-magnetic, and an excellent conductor of electricity and heat. Its primary users are in electrical wiring and piping of plumbing application. It is also used for platting of eaves troughs, printed circuit boards, and is the main ingredient in brass. In fact, everyday consumer products still use copper and it is a critical component in electronics. While scrapped copper cannot be used right away, after proper preparation, companies can reuse copper to create new and different products. Limiting Impact on the Environment – During mining and refining of metals, dust and waste gases are emitted into the environment. While metal producers work hard to minimize these gases, any amount of harmful gas emitted is a cause for concern. Landfill Costs are Reduced – For example copper is in more products than consumers realize; from cell phones to rice cookers to steamers, and more. Copper products that are not discarded into a landfill can reduce how much waste landfills deal with each year and trim down the costs associated with running these landfills too. Conservation – While there is an abundance of copper resources, copper ore is considered a finite resource; therefore, it makes more sense to conserve it than mine it. Cheaper – It is cheaper to recycle copper than it is to extract and refine new copper ore. In fact, recycled copper is almost as high in value as recently extracted copper, but without the costs of mining and refining, which helps keep the costs of creating consumer products down. Saves on Energy – Recycling takes much less energy and leads to the conservation of all energy reserves (including oil, gas and coal). It also reduces how much carbon dioxide is released into the air. Recycling copper will reduce your carbon footprint. Metal recyclers not only recycle copper products, but purchase them from those that wish to recycle, encouraging consumers even more to improve sustainability. As a leading Canadian recycler, Manville Recycling accepts and collect all of your recyclable material. Contact us today to learn about your options for recycling your copper materials. Copper is commonly used in a number of building installations because it’s non-magnetic and conducts both heat and electricity. This metal is primarily used in electrical wiring, plumbing, and in some decorative elements. It is also the primary ingredient in brass so all of your brass installations and fixtures contain copper. Copper is also found in large quantities in landfills because people discard items containing copper instead of recycling them. We offer copper recycling in Toronto and can help reduce the burden on the environment. Copper has been recycled and reused for centuries at an affordable cost. This metal is highly malleable, melts at around 1038°C and can be easily reshaped into a different form for reuse. Most of the impurities are removed from the metal, which restores its quality to a large extent and ensures it is suitable for other purposes. 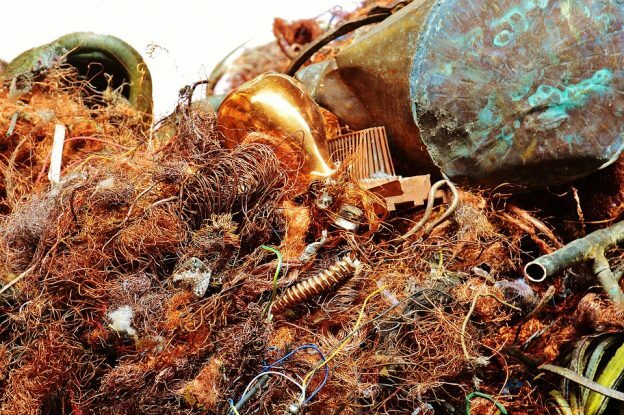 Scrapped copper can’t be utilized immediately, but recycling companies know just how to process this metal to ensure it can be safely added to wiring, electrical components, and decorative items. Many unknowingly dump the metal in landfills because they don’t realize copper has good recycling potential and that it’s cheaper and better for the environment if it is given to companies that carry out copper recycling in Toronto. 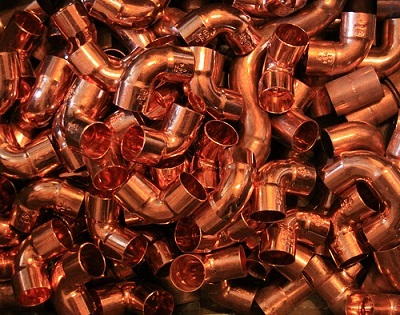 Recycling helps conserve copper – While this metal is available in abundance now, it is still a limited resource and the supplies will eventually dry out. Recycling copper reduces the burden on the natural resources and also reduces the cost of copper, which can have a wider impact on product prices. Value of recycled copper – Recycling is cheaper than extracting and refining new copper from earth. Despite this, recycled copper is almost of the same value as newly extracted metal. 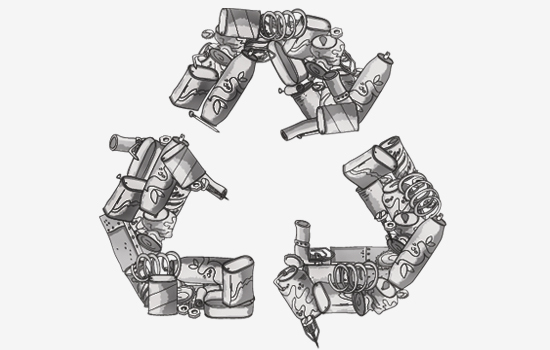 This means the metal provides a higher profit margin to recyclers and companies. This reduces the cost of making products from copper. Costs of maintaining a landfill – Copper is present in a large number of day-to-day items and this includes mobile phones. If all items containing copper are recycled, landfills don’t have to deal with as much trash, which will reduce the cost of maintenance. Impact of mining – Mining for new copper isn’t just expensive, but also damaging to the environment. During the process, fine dust particles, metals, and gases are released into the environment, which can cause a lot of damage. The process of copper recycling in Toronto doesn’t pollute the environment to this extent. Energy savings – Recycling doesn’t consume as much energy as metal extraction, which can also have an impact on the environment and help reduce the amount of pollution in it. Recycling isn’t very complicated as all you need to do is give us a call for all copper recycling in Toronto a call and we will pick up the copper waste from your property. To view a list of everything we collect, click here. Rust is the common name for a chemical compound known as iron oxide. This compound forms when iron reacts with water and oxygen, presenting itself as a rough, orange-red substance. Technically speaking, only iron and alloys that contain iron can rust. Other metals, including precious metals like gold and silver, can corrode in a similar way. What sets certain metals apart? The duration of time it takes for certain metals to begin rusting (or corroding) is what sets these materials apart. Regardless, in almost all cases, rust is a nuisance. Not only is it unsightly, its a hindrance to functionality as well. If you allow rust to exist on a metal object for a long enough period of time, it can start to eat through the object, slowly compromising its structural integrity. Be warned though. The more rust that eats away as a metal object, the less that object is going to weight, and the less money you’ll be able to get for recycling it. Copper does not rust, however, it does corrode. Copper is naturally brown and turns a shade of bright green as it corrodes. While some consider copper’s reaction to be tarnish rather than oxidation, the metal still undergoes a similar “rusting” process. The fact of the matter is that regardless of whether or not you remove it, rust can reduce the recycling value of a metal item. For this reason, its wise to try to prevent rust from forming in the first place. If you have metal object that are only slightly rusted, you can usually rid remove the rust in just a short amount of time. There are a number of substances that can be used to remove rust from metal. In most cases, however, its easiest to try to remove rust with a sander or grinder. If you have have heavily-rusted items on your hands, and if you’re looking to recycle them, your best bet would be to sell them to a metal recycling company. After rust is already caked on any object, its nearly impossible to remove entirely. However, keep in mind that a metal recycling company will be able to melt down your rusted metal objects, separating their usable parts so that they can be used for new purposes.